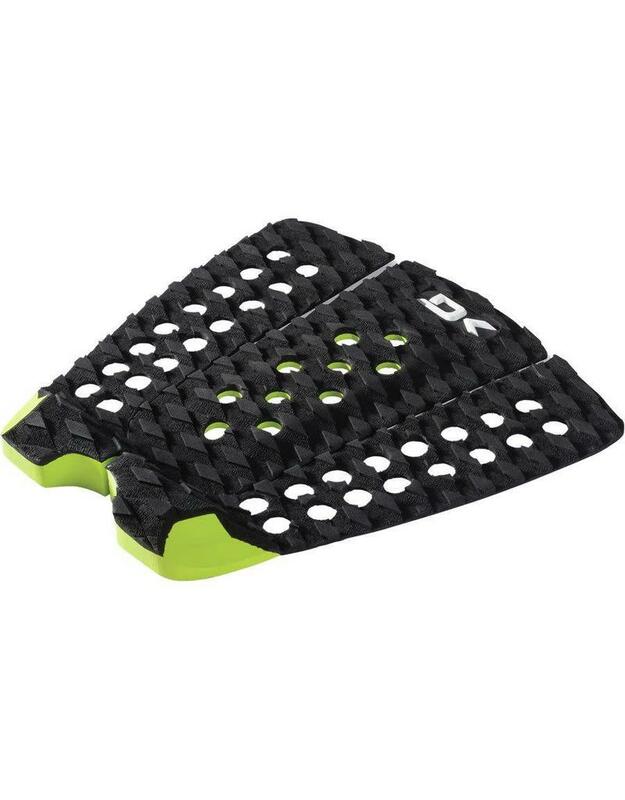 The new Dakine Indy Pad is a 3-piece surf traction pad with the benefits of Dakine Positraction - a proprietary combination of custom grid pattern and EVA foam blend that maintains the same grippy feel regardless of water temp. The Indy pad features a 7mm center arch with 25mm vert wedge tail kick and beveled edges for reduced water drag. Dakine utilizes only the highest quality 3M adhesive to keep the pad securely in place.